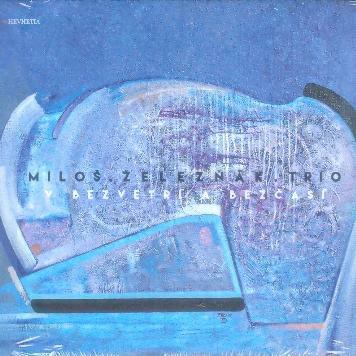 Another editorial achievement from Cassovia label HEVHETIA brings album of hunter and guitarist Miloš Železňák. This time under the name which evokes the divisions of another guitarist, who introduced as a songwriter. I'm talking about Andrej Šeban and his "Bezvetrie". CD inspired by the poetry of Erik Ondrejička (his eponymous poem inserted as a waybill) consists of eight tracks. Defines the sound of a jazz trio and painted by John Kružliak's string ansamble and Adriana Harvan's saxophone. Rhythm section in the lineup Robo Ragan (BS) and Peter Solárik (DS) discreetly augmented to guitar of bandleader Miloš Železňák. Short Intro (lost bass) is the result of the search of the recorded sound in the studio with musicians chats. Duo called "The Day perfect for the return" evoke an atmosphere of turmoil and disillusionment - not far from free jazz with the motto "the uglier, the more beautiful." The onomatopoeic "Bouquet of Chrysanthemums" Železňák sounds like early Metheny from period of "Bright Size Life". I personally most like acoustic ballads like "The old bus seat" that are airborne and ubiquitous in the art of searching not print so the saw. In the song "Above the forest road" drummer Solárik painted perfect mood dripping kiln after a summer storm. Fragile mood is further developed in a minimalist theme acoustic guitar and bass. After meditative "stop" with the free rhythmic structure comes the final opus album named "At the direction of the explosion." In it alternates energetic strumming in plan pounds of horizontal bows with rubato solo guitar interlude. Everything ends with an optimistic pure C-Major, in the spirit of laconic saying that: "We wandered a bit, but the gingerbread house, we finally found".